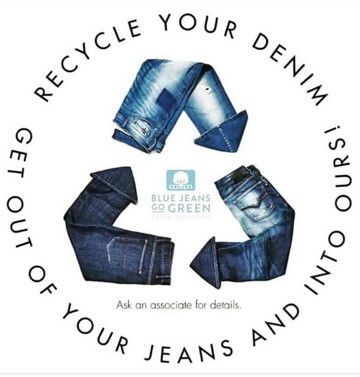 For the month of April, American Eagle Outfitters will be partnering with Blue Jeans Go Green in an effort to reduce our carbon footprint! We encourage you to bring in your old denim to American Eagle Outfitters so that it may be donated and upcycled! Blue Jeans Go Green will plant a tree in California for EVERY pair of denim donated in order to help wildfire devastation! Beyond that, they will upcycle your denim, restoring it to its natural cotton fiber that will be used to insulate homes! 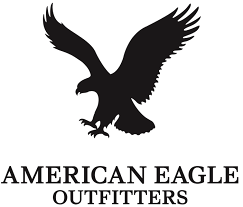 For doing your part to go green, American Eagle Outfitters will give you $10.00 off a new pair of jeans when you bring in your old ones to donate!